Be sure to contact Premier Roofing, Inc. of Orlando and Central Florida for all high-end residential roofing projects. 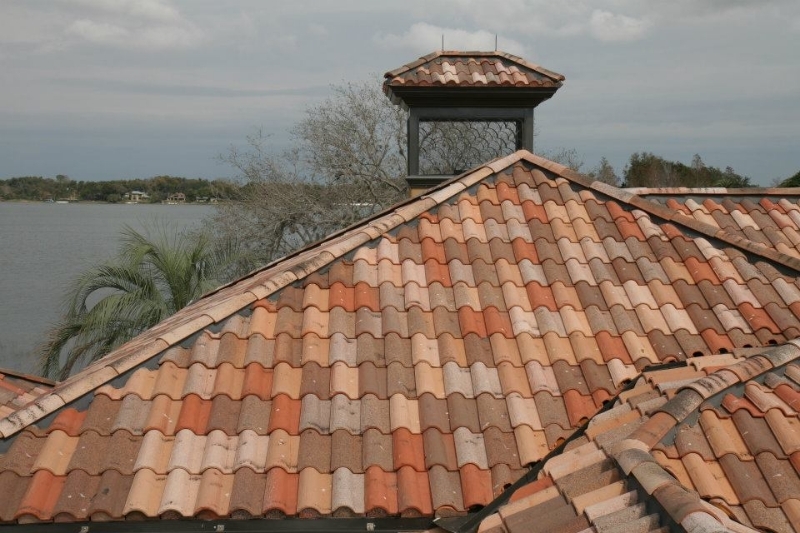 We specialize in concrete tile, clay tile, slate tile, and metal roofing projects in Orlando. Our residential portfolio includes central and north Florida roofing projects of all varieties and complexities. We have also traveled to St. Lucia for a roofing project. Our commercial portfolio demonstrates our Florida and Central Florida roofing expertise. A few of the projects completed include Fountain Parke Condos- Lake Mary (500,000 sf concrete tile roofing in Orlando) and Annie Russell Theatre-Rollins College (14000sf of two-piece US Clay tile roofing), and tile roofing in Orlando. Premier Roofing, Inc. was founded in 1995 and has more than 65 employees. Based in Orlando, Florida, Premier Roofing, Inc. serves Central and North Florida. We also travel throughout Florida and beyond to do large scale commercial and high-end residential projects. If you are looking for the best in roofing contractors, we provide outstanding products and top quality work for all roofing projects. Our experience will give you the peace of mind you deserve knowing that we can do the job correctly using the proper products. When you select an Orlando roofer to work with, integrity and quality are prime factors to consider. One of the reasons why Premier Roofing has become one of the most reputable roofing companies in the region is because of our commitment to only provide our clients with the highest quality roofing materials and to install those materials with proven techniques. You want to select a roofing company that you can count on to complete the job right initially and that will deliver the completed project on time and on budget, and we are the company to call for the best experience. If you have been thinking about installing a new roof on your building or have repair needs for a tile, metal, flat or concrete roof, contact our office today to discuss your needs. We can visit your property to provide you with a roofing inspection and a customized quote for the service you need. If you are looking for a quality and durable roofing project, contact your Orlando and Central Florida roofing contractor, Premier Roofing, Inc.